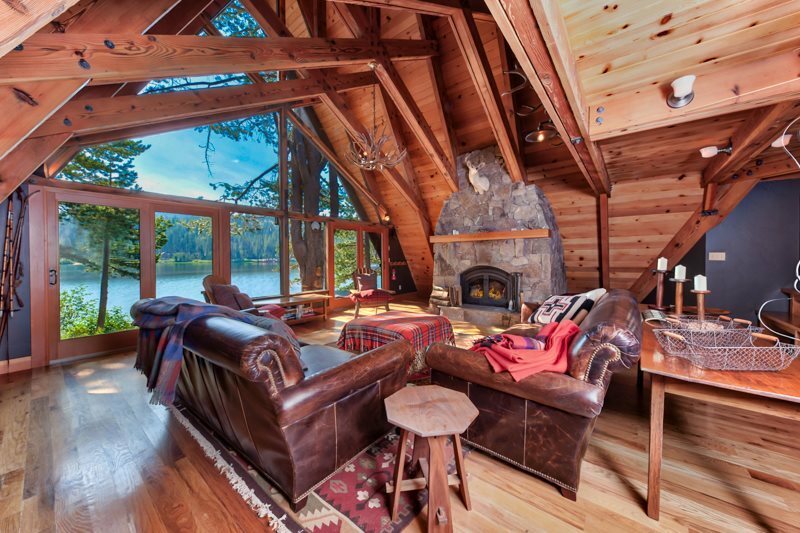 Classic lakefront mountain A-Frame cabin surrounded by the clear blue waters of pristine Serene Lakes. Sits on swimming lake side of the peninsula between the lakes on a quiet cul-de-sac. The community is charming & this cabin is so quaint, featuring a fully remodeled kitchen & great room that was featured in Sunset Magazine â "Tahoe Cabin Makeover". Beautiful lake & mountain views, a floating dock, massive granite fireplace, game loft, lakeside hot tub, much more and all offered turn-key. A MUST SEE.